Influencer Highlights - iiaa October 2016 | iiaa Ltd | The UK and Ireland distributor of Environ Skincare, jane iredale makeup and Advanced Nutrition Programme. ".. 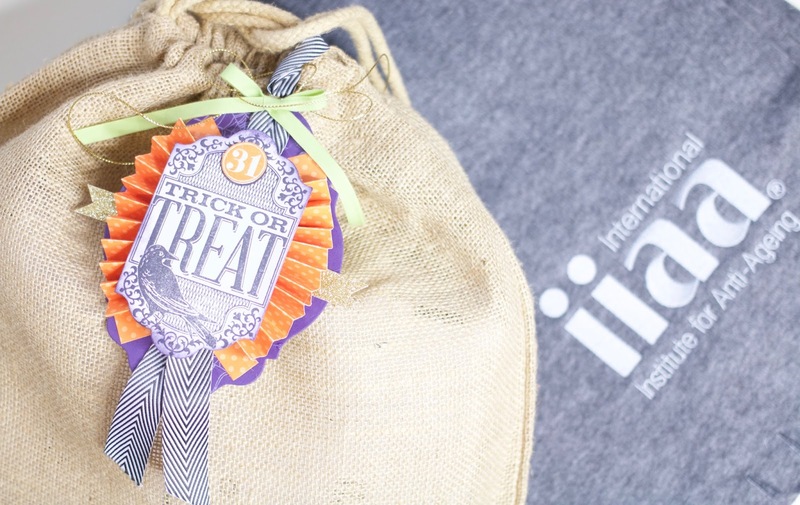 The International Institute of Anti-Ageing consists of three brands; the Advanced Nutrition Programme, Environ Skincare and jane iredale Mineral Make-Up, and they were kind enough to send me a surprise package* this Halloween to introduce me to their brands and to celebrate the festivities. As I began to unbox the packaging, I was so pleasantly surprised to discover the treats delicately packed with cosy blanket and a bobble hat to match - how lovely is that?! I unravelled the blanket to discover two boxes; one labelled 'Trick' and the other labelled 'Treat' and opened them both to discover goods from the three companies under the IIAA brand, which aptly represent the #FeedFortifyFinish philosophy. I'm really looking forward to giving these products a go and embarking on my 'flawless skin' journey. As I mentioned, the IIAA and the brands that lie within the company are new to me, but I admire them for what they stand for .."
"Hi guys. I’m taking part in the #100DayReset challenge with iiaa following their #FeedFortifyFinish philosophy to reset and renew my skin. iiaa consists of 3 brands; Advanced Nutrition Programme (Feed), Environ Skincare, (Fortify) and jane iredale (Finish). My first vlog went live a few days ago where I let you guys follow me around on Day 1 of the #100DayReset challenge so make sure you check that out and show the newbie some love. I’ll be updating you on day 30, 50, 90 and 100 of my skincare journey. I thought I’d follow up with a blog post to give you a more in depth breakdown of the products I was given to get on with..."
"I'm working with the iiaa in the #100dayreset challenge and what it basically is, is starting off completely from day one and changing my skin care routine from what I currently have, which is take off my make-up, cleanse, stick some moisturiser on my face and hope for the best and it's not really good enough. I've been using their products from their three major brands... to try and get my face and my skin the healthiest possible way it can absolutely be. So over 100 days I am going to be tracking my progress and this is day one, so about my skin now, my major issues are hormonal breakouts.."
"I have a confession to make. Despite what reputation might be put on bloggers as being ultra-glossy with wonderful skin, hair, nails as well as wardrobes, boyfriends and lives, I am in fact a beauty slob. Well, to be more precise, a skincare slob. So whilst yes, my make-up might be done to the most perfectly high standard I can possibly manage, what lies beneath is a totally different story. Blackheads. Dry skin. Closed comedones all over my chin. All enhanced when a hormonal break outs around my chin and mouth just before period shows up. In other words, I'm practically a witch ....in order to reform my ways, I'm working with iiaa (International Institute for Anti-Ageing) in the #100DayReset challenge to work towards getting naturally flawless skin. iiaa are the mother group of three major brands that work together in unison... The reason they work so well is because they believe in a feed, fortify and finish philosophy, with the three brands complimenting each other."